Home » Bath & Body » Garnier Aqua Defense to the rescue! Garnier Aqua Defense to the rescue! New from Garnier comes Garnier Aqua Defense – a new line of skincare by Garnier that promises to lock in your skin’s moisture while boosting your skin’s defenses. How better to sell it than to enlist the crystal clear beauty of up and coming Chinese actress Crystal Liu Yi Fei. Garnier Aqua Defense contains fruit waters and Vitamin E to protect and defend skin from external aggressions and free radicals so your skin is left supple and hydrated all day. 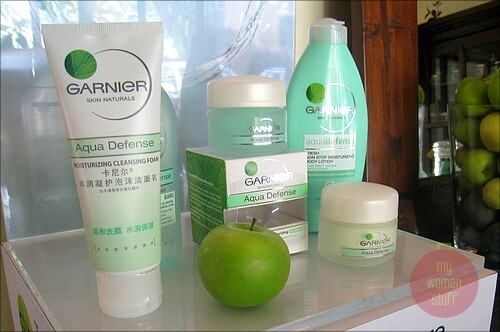 The whole Garnier Aqua Defense line comes in light green packaging and everything smells faintly of fruits and green apples. Its really very refreshing as I discovered recently during the press launch at Khareyana Spa. The star product and one I particularly liked on first try is the Garnier Aqua Defense Moisturizing Essence (RM19.90/50ml). Its a light gel essence that leaves your skin feeling cool, moisturized and supple and just velvety smooth. I don’t know how it performs in the long run but the immediate effect was amazing. I’ll report when its been put through the mill for a longer test. 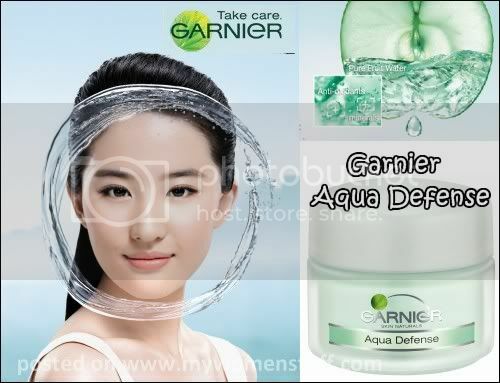 The Garnier Aqua Defense lineup hits the Malaysian shelves in July 2009 so do watch out for it. Has anyone tried Khareyana Spa? I rather enjoyed the little afternoon session at Khareyana Spa but it was for “work” so I couldn’t quite poke around as much as I’d like, nor could I try out any of the spa packages they had. Still, I might return some day to try out their massage packages. It looks interesting and the spa is done up in a very relaxing manner. 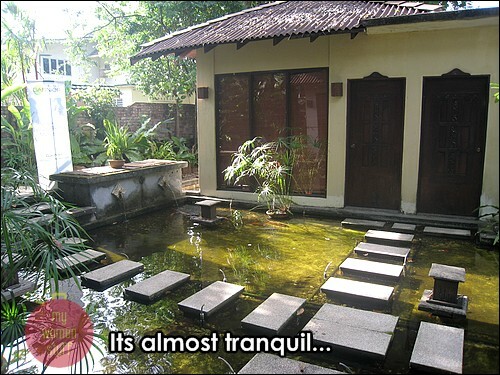 Khareyana Spa is a standalone bungalow in Petaling Jaya and you can get the location here. If you have been here, do let me know how you like it and what you recommend to try. I’m always up for trying a new spa! Ooh wonder if it will substitute for Face Oasis while I’m broke. Not forever, just till i recoup my losses. yay! i have been wanting to try Aqua Defense for the longest time! I think I am getting most of the stuff except the roll on eyes and cleanser. My skin’s dry lately. Like the Sahara. i was wondering if we could use the essence as a moisturizer instead. do u have any idea? hee.. thanks for the review! i lurve this aqua defense moisturizer…lastly, i found the best moistrzer 4 my skin as my skin is too oily,,,and its works because of the texture is gel which is suitable 4 oily skin. my makeup also long lasting. just make sure apply makeup 5 minutes after use it!!! Do you apply this immediately after a bath or after using a toner? Please reply me in my blog =D Thank you. can I know aqua defense suitable for what kind of skin? and suitable for what age? hi, i would like to contact garnier n would like share something good about the product i have used. pls get back to me, i m very exited about it as it has helped me a lot. Can I ask you how much the garnier moisture rescue lightweight price in malaysia?